(CNN) -- World football's governing body FIFA have confirmed that vice-president Jack Warner and executive committee member Mohamed bin Hammam have been provisionally suspended by the organization with immediate effect. The announcement follows an enquiry by FIFA's Ethics Committee, after alleged violations of the FIFA Code of Ethics linked to the upcoming FIFA presidential election. FIFA released a statement on Sunday saying: "The Ethics Committee considered that a provisional suspension was required while the investigation continues, taking into account the gravity of the case and the likelihood that a breach of the FIFA Code of Ethics and the FIFA Disciplinary Code has been committed." The news, following a dramatic 24 hours which saw bin Hammam withdraw as the only challenger to Sepp Blatter in next month's presedential election, means that Blatter will be re-elected unchallenged after he was cleared of any wrong- doing by the Ethics Committee. In relation to Blatter's case, the statement added: "Regarding the proceedings opened against FIFA president Joseph Blatter, at the request of Mohamed bin Hammam, for a potential breach of the FIFA Code of Ethics -- all charges were dismissed in full. "The Ethics Committee found that no breach of the Code of Ethics had been committed and they will meet again in due course in order to take a final decision on the matter after gathering more information and evidence on the cases." Blatter himself released a statement saying: "The FIFA Ethics Committee has reached its decisions. "I do not wish to comment in detail, but simply to say that I regret what has happened in the last few days and weeks. FIFA's image has suffered a great deal as a result," added the 75-year-old Swiss. Bin Hammam, 62, was a major influence in Qatar's surprising victory in winning the right to host the 2022 World Cup finals. 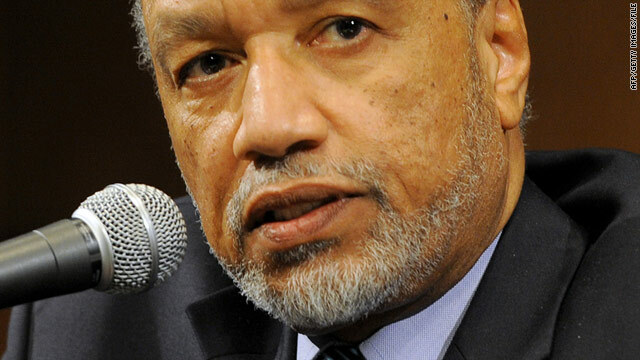 He and Warner became a target for investigation after Chuck Blazer, general secretary of regional football body CONCACAF that covers North and Central America and the Caribbean, reported possible misdeeds during a May 10 and 11 meeting in Trinidad. The allegations concerned whether the duo had offered cash gifts to national associations in return for pro-bin Hammam votes in the presidential election.